"Sampath Speaking" - the thoughts of an Insurer from Thiruvallikkeni: National level pugilist lives collecting garbage ~ sad !! National level pugilist lives collecting garbage ~ sad !! At Chepauk, there used to be Pongal Tests and similarly, at Melbourne, - the Boxing day tests. Boxing Day has nothing to do with ‘ ring fighting’ but is a holiday traditionally celebrated the day following Christmas Day, when servants and tradesmen would receive gifts. Somebody, need to tell that garbage box too has nothing to do with the sport of boxing and its champs !!! In our school days, more than a couple of decades ago, not many schools encouraged sports activities [very few parents did !] – though people would talk highly of sportspersons, the virtues of becoming one including the quota in educational institutions and more importantly in coveted jobs in Public Sector. Sometimes, we do read of stories of the plight of sportspersons too…..in Dec 2011 – came the sad story of footballers from a club known as Anand XI FC who had been crowned champions of Indore Football League only a couple of days earlier. 15 footballers of Anand XI FC were reportedly part of the cleaning force employed for cleaning the seats of 30,000 capacity Holkar Cricket Stadium for ODI between India and West Indies. The likes of Manoj Khare, RohitGirije and AnkitChirawande, who had represented Madhya Pradesh in various national level football tournments, were reportedly paid Rs 3 for cleaning the seats at the match venue. In cities sports academies [read Cricket coaching] have mushroomed – many mothers dream of their children becoming Sachin Tendulkar, Dhoni, ViratKohli – if not national representation, a couple of matches for a club in IPL, the least !! - IPL is big fat wedding – grand, glamorous, glittering, noisy and garish. On field there are so many cameras (including spider cam) catching not only the game, but also movement of players, their reactions of team and its owners, of the cheerleaders, official tune makers and also the spectators. Fans mostly are given flags and come in team colours. There are so many support staff, there is player’s dug-out, gym sessions, sponsors, bat signings, media, shouting commentators on field, interview with players and many other non-game related arrangements of late night parties and more. This season, a rookie spinner KC Cariappawas bought for 2.4 crore ~a money which many accomplished Ranji cricketers would not have seen in their lifetime. Recently, I posted about another spinner who represented his Nation, played 9 tests took 32 wickets and 56 in 58 One dayers driving cab in Sydney to make an earning. He is not alone – there is already another fine bowler who played 43 tests spread over a period of 14 years, known as naenae express – Ewen Chatfield becoming a cabbie and driving in New Zealand. Often other sportspersons envy Cricketers – because of the status and wealth that players command. They get good money for playing the game and more money for endorsing products – from health, glow, soaps, hairoils, shoes, vehicles and just about everything; run clubs, motorsports teams, launch their own syndicates, own clothing brands, buy bikes which are not in the reach of most, living and enjoying the life as a star. India Times reports of a sad story of a national-level gold medal-winning boxer Kamal Kumar, forced to collect garbage from door to door to make a living. It is the sordid tale of - Kamal Kumar Valmiki, who claims to have won three district-level gold medals in early '90s, also works as a part-time rickshaw-puller. 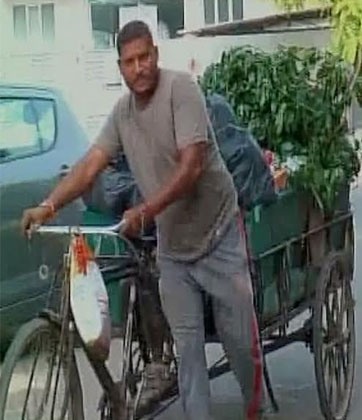 Life is hard for many and indeed for Kamal Kumar, a national level former boxer who has now turned to collecting garbage on the streets of Kanpur. Once eyeing national glory, Kamal couldn't get any financial support from those running the sport to continue his bid as a boxer and didn't even land a class-4 job. 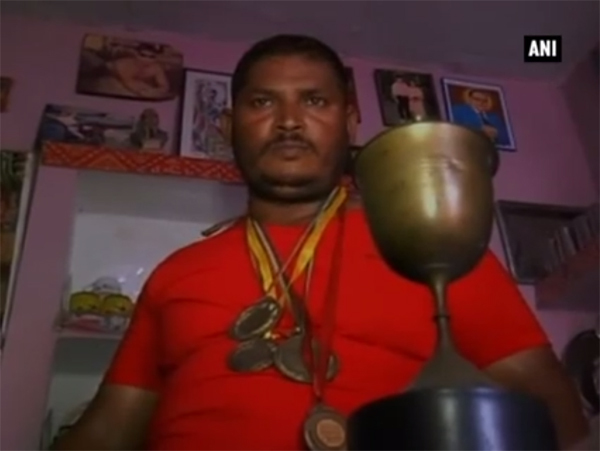 Now by collecting garbage, he hopes to fulfill his dream through two of his four kids, who are budding boxers. In Indiatimes Sports he is quoted as saying - "I am sad because even after playing at national level I was not able to get a fourth class job. I am doing this job of collecting garbage for a living, as I have a family who is dependent on me. " I train my elder son, who is also a national level player. I was very much passionate about boxing but got no financial support. I am sure my children will fulfill my dream," he added. Sadly, he is not the only person neglected – in Apr this year, India today reported of a National level boxer Rishu Mittal, who won the gold medal in 46kg category in Haryana state championships and represented the state in National Games, having to work as a maid.